He would sell his warrior soul to possess her. . . . An alluring laird...He was known throughout the kingdom as Hawk, legendary predator of the battlefield and the boudoir. 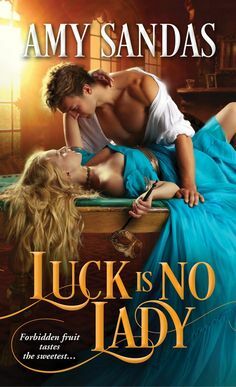 No woman could refuse his touch, but no woman ever stirred his heart—until a vengeful fairy tumbled Adrienne de Simone out of modern-day Seattle and into medieval Scotland. Captive in a century not her own, entirely too bold, too outspoken, she was an irresistible challenge to the sixteenth-century rogue. Coerced into a marriage with Hawk, Adrienne vowed to keep him at arm's length—but his sweet seduction played havoc with her resolve.A prisoner in time...She had a perfect "no" on her perfect lips for the notorious laird, but Hawk swore she would whisper his name with desire, begging for the passion he longed to ignite within her. Not even the barriers of time and space would keep him from winning her love. Despite her uncertainty about following the promptings of her own passionate heart, Adrienne's reservations were no match for Hawk's determination to keep her by his side. . . .
James Douglas known as the Hawk, has never had a woman say “no” to his sexual advances. 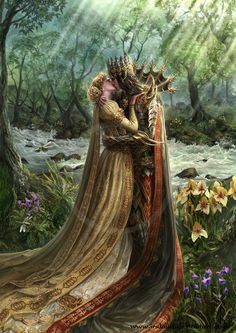 So the “Fae” plan to play with the Hawk and bring to him a woman that can and will say “no” to him and one with a fiery temper who will fight him on all angles. Adrienne De Simone lives in Seattle and having some pretty bad experiences with men in relationships, she avoids men that are handsome and charming like the plagues of Egypt. Adrienne has become a bit bitter, with due cause. So when she is taken back through time to Scotland in the 1500’s. Where through a chain of events she finds herself married to the “Hawk”. At first Adrienne resists his charm however as time continues and despite her ever searching for a way back to her own time, her heart hardened shell softens toward him as the passion between them rises. The desire that she feels for Hawk unsettles her in a way she has never before experienced and Adrienne yearns for his tender touch. James is a formidable warrior in both the battlefield and the bedroom however upon meeting his new bride he comes across a woman with a will to mathc his own. The battle is on…in the matters o flove…who will be the conquerer? I fully enjoyed this time travel romance, that takes you back to the medieval Scotland, and written by one of my favorite romance authors. The more that I read from Karen Marie Moning, the more I get excited about reading her other books, since the ones that I have read so far have been outstanding, as this one was as well. Adrienne, has been hurt, but when she is thrown back in time, she has to face a future and a life with a man that she both fears and desires. The Hawk is definitely an Alpha rake, a seducer of women, no matter their reservations. However when she becomes married to him, he knows that she is unlike any other woman he has met and he knows that there is something peculiar about it, and he wants to find out what that is. Its a enchanting love story that brings two souls together with a little twist that will keep you on the edge.